The Massey Ferguson Hesston Series self-propelled windrowers include three tough, versatile models that can handle any job. It is built specifically to cut hay. The self-propelled windrower delivers 225 standard horsepower at 2100 rpm, while power boosting to as high as 240 horsepower at 1900 rpm. This is power for the professional features that you'll need to attain maximum productivity, no matter the crop or the model that best suites your needs. With an advanced emission control guarantee, this machine will provide you consistently lower total fluid consumption for both diesel and DEF. The newest generation of Heston WR Series self-propelled windrowers brings the serious hay producer cutting edge technology and efficiency. The king of large square balers has dominated the competition and set the standard for product innovation and quality. 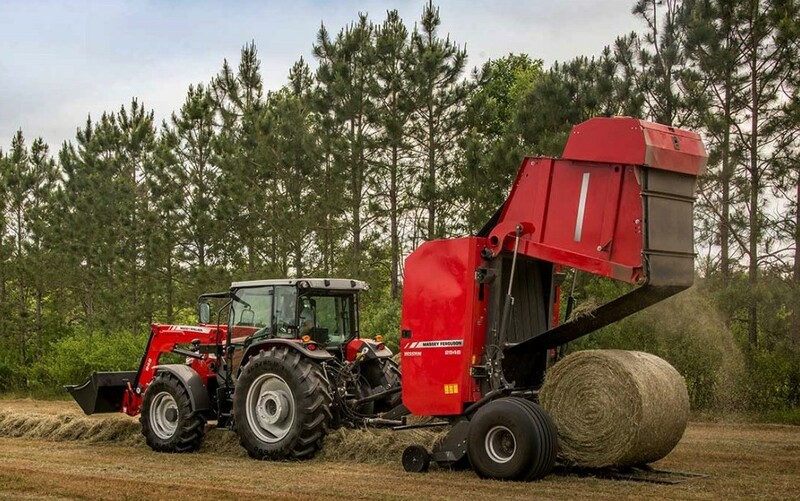 Now, two of the biggest names in the industry have come together with the new 2290 Series large square balers which produces solid 4 x 4 bales that weigh up to a ton each, driving the future of hay production. It is still the preferred option for commercial operations and custom hay producers who deal in volume and desire to move the most amount of hay in the least amount of time. A new generation of round balers from Massey Ferguson, incorporates knowledge built up over many years in the baler business, bringing you an assurance of top performance operation even in the toughest working conditions. Whether you’re a large dairy or livestock farmer or a commercial hay producer, the Series 2900 makes you the rugged, advanced, high-throughput baler that make baling easier for you. The Hesston legacy of haying innovation continues with the 2900 Series. Advances include Sure-Trac crowned drive rollers, a dual-tube twine arm, and 3-ply WedgeGrip bale forming belts - all designed to ensure quality bales and longer service life. 0 Response to "Massey Ferguson Hay Equipment"